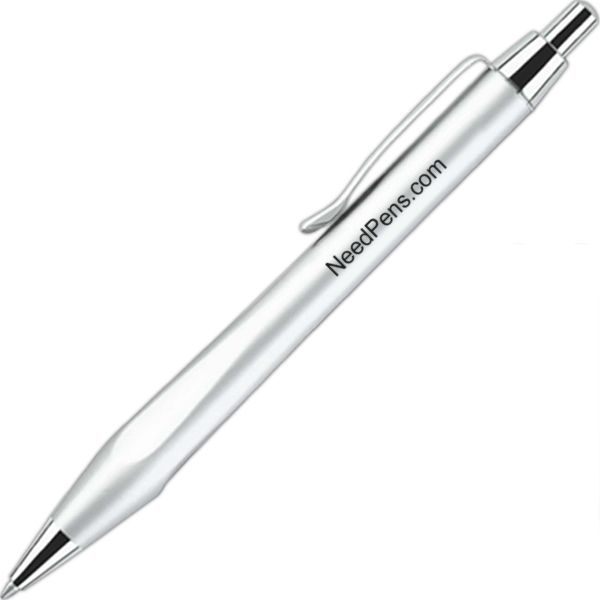 Stylish click action solid brass ballpoint pen with triangular grip and chrome features. 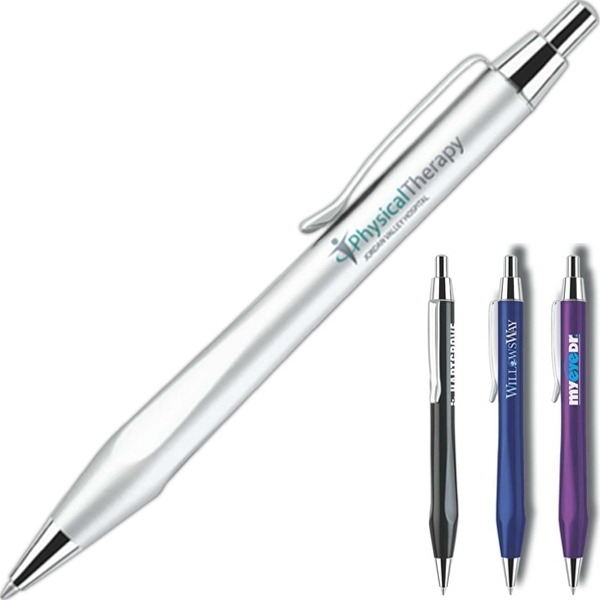 This office essential is the perfect way to put your message directly into the hands of your customers! 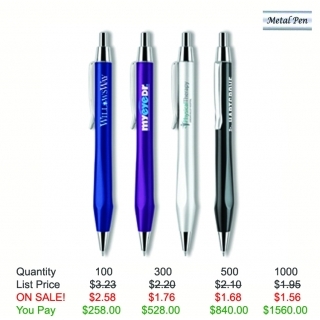 Its eye-catching adornments make it stand out at seminars, conventions, and trade shows. Writes in German black ink. Save on this custom pen with Free Setup, Free Rush Service, Free Artwork and Free Shipping. 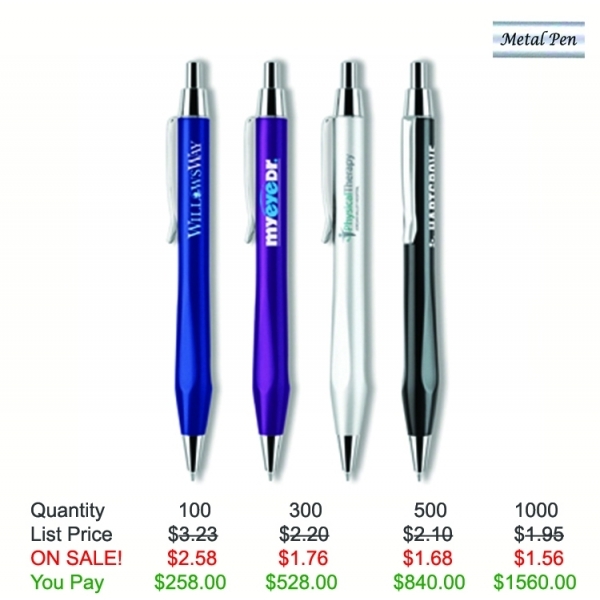 Customize Your Product: Up to 4 lines of text, with or with out Logo - 35 letters per line max.